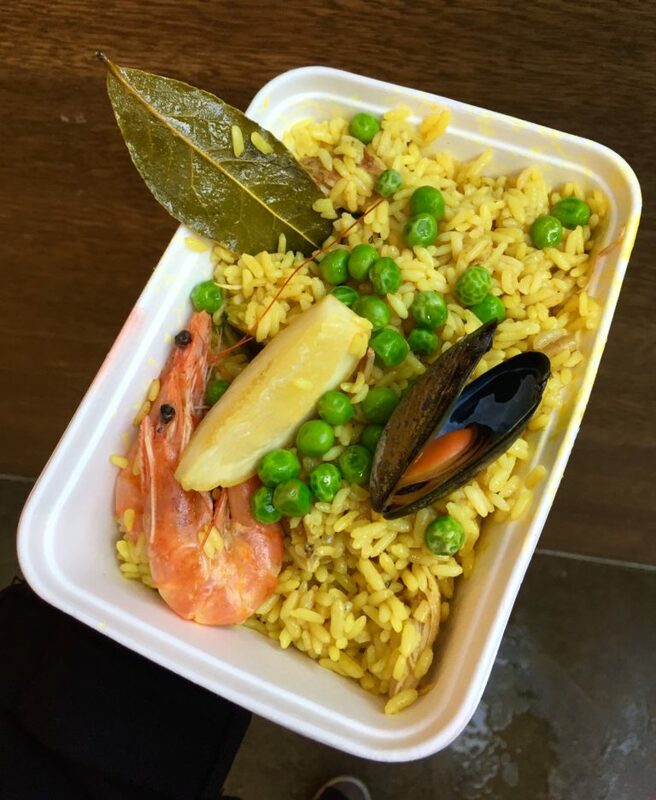 After visiting the ‚Old operating theater‘ which I thought was an actual theater but turned out to be a museum about medical history, we had lunch on the borough market again, because my grandma wanted to try the paella 🥘. And because it’s about 100 m away from there. I found a place that sold falafel, which I had hoped to find on the Greenwich market, but didn’t. So of course I had to try it today. They also had falafel wraps, but they were not gluten-free so I got them in a box. 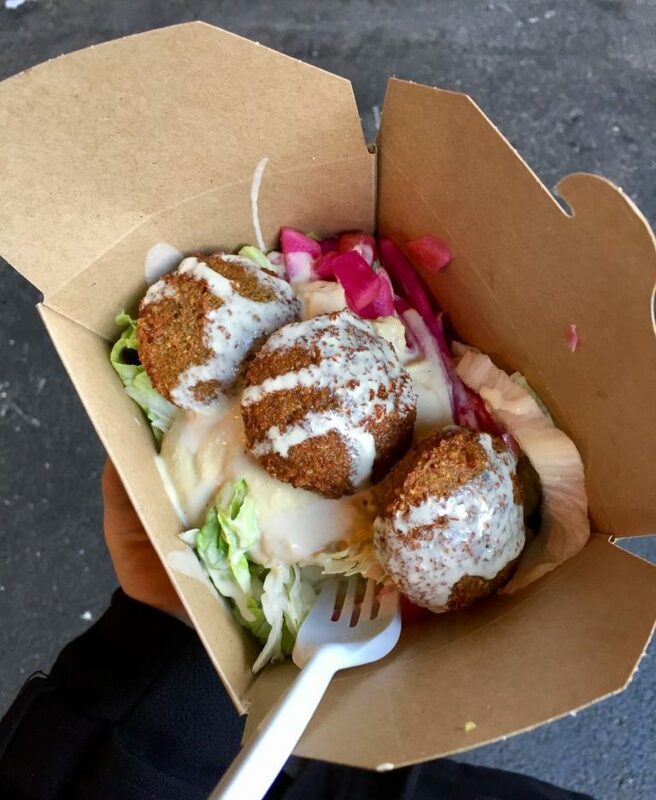 You get three warm falafel with salad and turnips and hummus and tahini. I also could’ve added tomatoes, coleslaw, pepperoni and chili sauce, but I like it more plain. Because we had 17°C and it was sunny, we walked from the Tower of London all the way to Westminster Bridge. Then we got a coffee that turned out disappointing. Like extremely disappointing. The Lattes at Costa before had been good, but that one was barely enough to allow me to swallow pain meds. I know they remake it for you when you don’t like it but I haven’t tried it until I was outside because it was too hot. We were hungry again and since it was time for dinner we decided to go to a gluten-free restaurant I found on Instagram. The problem was that I had taken screenshots of two restaurants and confused both of them. So instead of going to the restaurant that is located at the Angel station on the Northern Line in Islington, we went to a coffee bar near Covent Garden. Lucky for us the Indian restaurant we were at in Hammersmith two days ago has a restaurant there as well and we went there instead. We had two plain Dosa’s (lentil pancakes), a Mattar Paneer (curry with fresh homemade cottage cheese, peas, cashewnuts and cream) and a Channa Massala (chickpea curry). 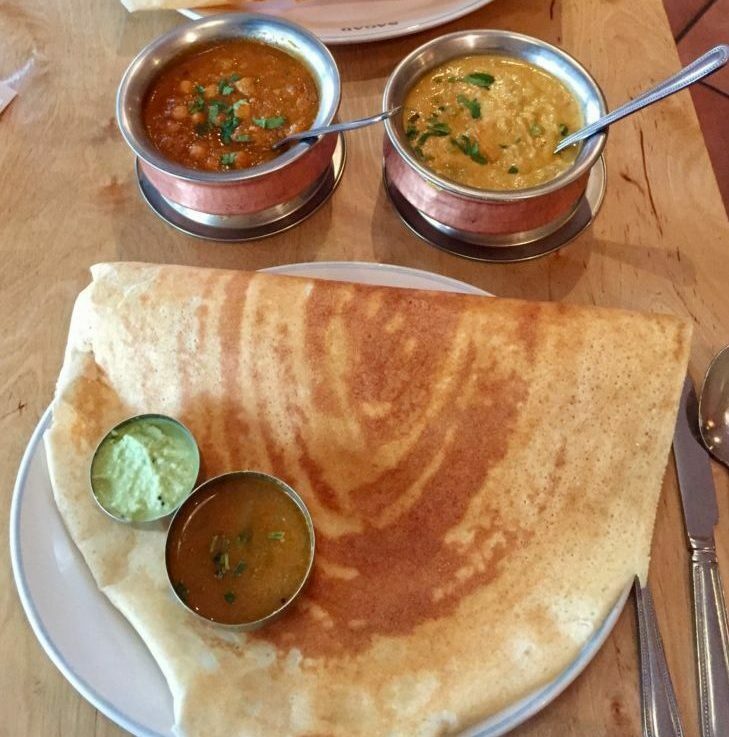 The Dosas were £5.25 each and the curries £6.25 each. Additionally we shared a Mango Lassi for £3.25. It was really nice again and in my opinion this time we selected a better Curry than last time. So it wasn’t just really nice, but actually better today.